This spooky halloween fudge recipe is the best. My kids go crazy whenever I make it! It’s hard to believe that Halloween is next month! 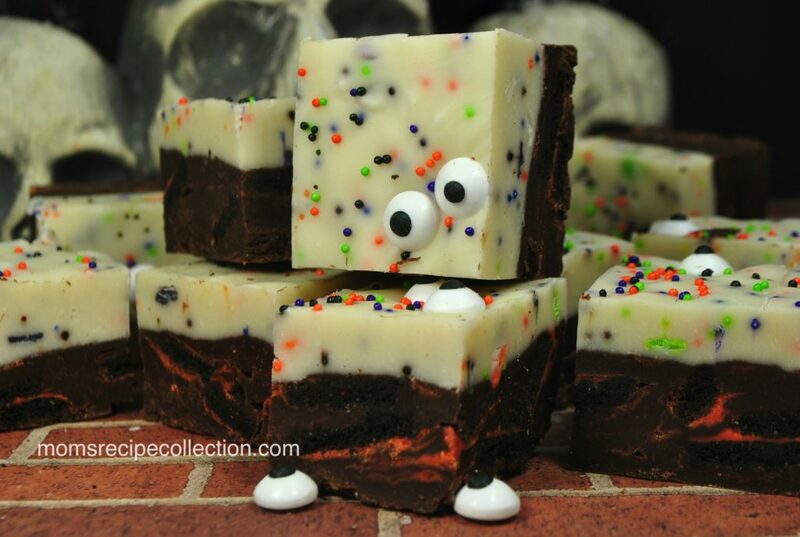 Instead of buying candy, I’ll be making this super adorable and yummy spooky Halloween fudge. The kids go nuts over this Halloween treat! This simple fudge recipe is made with a few basic ingredients. I use a few Wilton products that can be purchased from either your local craft store ( such as JoAnns or Michaels), or you can buy them from Amazon. Give this recipe a try this Halloween! Share this recipe on Pinterest and Facebook! 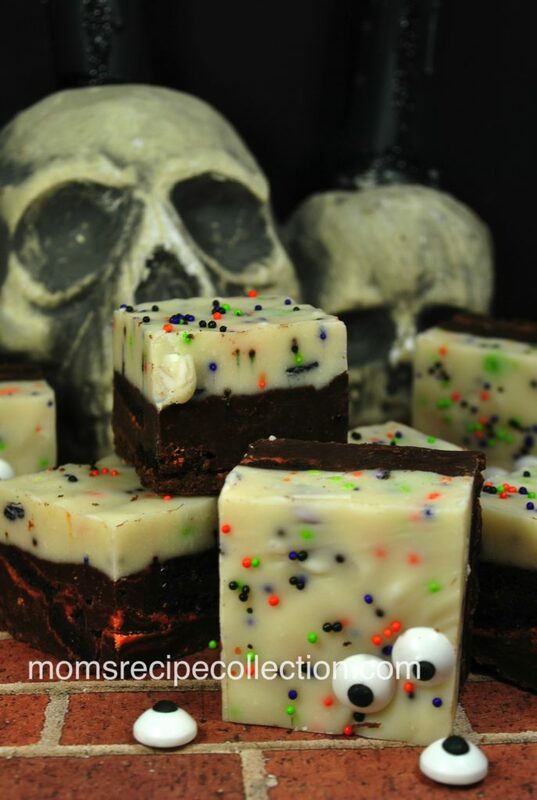 This spooky Halloween fudge recipe is a fun dessert to get the kids involved! In a medium saucepan add your chocolate chips, sweetened condensed milk, and butter. Turn your heat on low. Stir until melted and creamy. Add in the crumbled Oreo. Line your 8x8 pan with parchment paper. Pour your fudge mixture into the baking dish. Now onto the white chocolate layer. In a medium saucepan add the white chocolate chips. sweetened condensed milk, and butter. Over low heat stir until melted and creamy. Add in the marshmallow cream. Let cool for 2-3 minutes. Stir in 3 Tablespoons Halloween sprinkles. Pour the white chocolate over the chocolate layer. Add candy eyeballs keeping two next to each other for the correct eyes look. Let set for 3 hours.